Dimitris Maroulis received the B.Sc. degree in Physics, the M.Sc. degree in Electronics and Radiocommunications with honors, the M.Sc. degree in Cybernetics and the Ph.D. degree in computer science with honors, all from the University of Athens. He served as a research fellow for 3 years at the Space Research Department (DESPA) of Meudon Observatory, Paris, France, and afterwards he collaborated for over ten years with the same Department. He has worked in the Hellenic Telecommunications Organization (PTT, Department of Statistics) for 2 years. For approximately 20 years he served as lecturer, assistant and associate professor at the Departments of Physics and Informatics of the University of Athens. Currently, he is a Professor at the Dept. 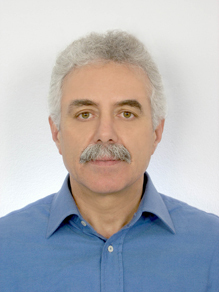 of Informatics and Telecommunications of the University of Athens and leader of the Real-Time Systems and Image Analysis Lab (RTS-image). He has over 20 years of experience in the areas of data acquisition and real-time systems, and more than 15 years of experience in the area of image/signal analysis and processing. He has also been collaborating with many greek and european hospitals and health centres for more than 12 years in the field of Biomedical informatics. He has been actively involved in more than 12 european and national R&D projects and has been the project leader of 5 of them, all in the areas of image/signal analysis and real-time systems. He has published more than 150 research papers and book chapters, and currently, there are more than 1400 citations that refer to his published work. He has made peer reviews for more than 12 international journals, as well as for an equal number of international conferences. His research interests include data acquisition and real-time systems, pattern recognition, image/signal processing and analysis, with applications on biomedical systems and bioinformatics.